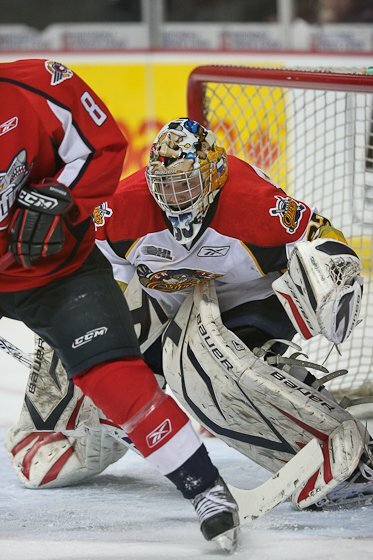 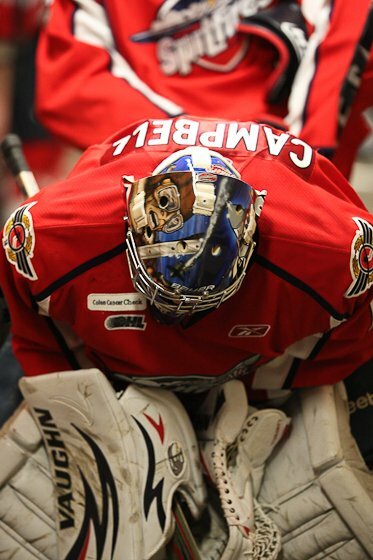 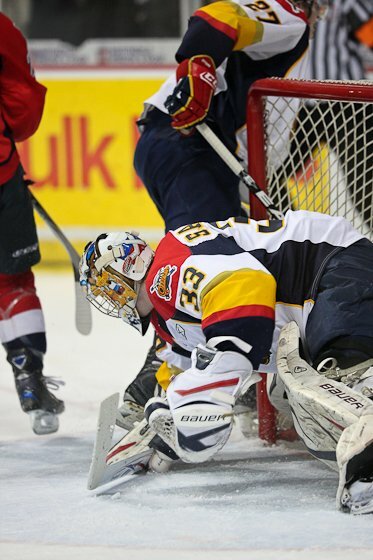 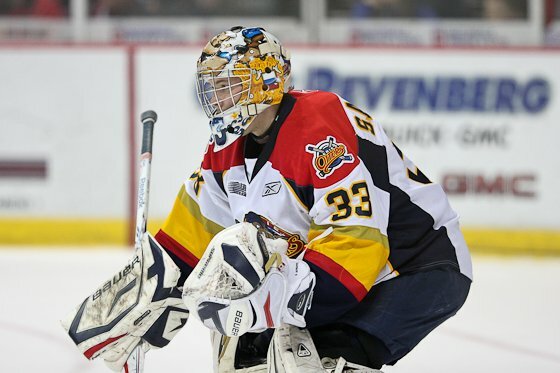 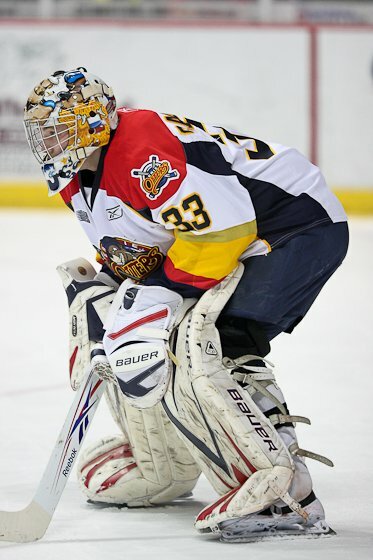 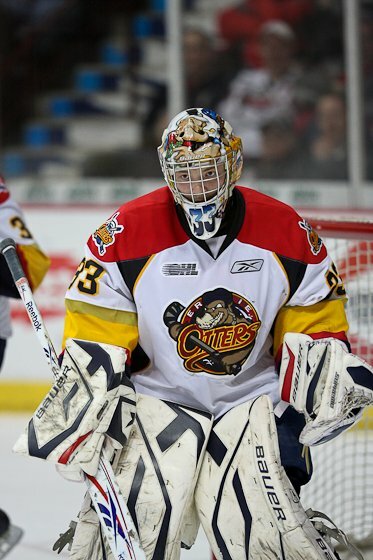 The Windsor Spitfires took on the Erie Otters at the WFCU center before a crowd of 5655 in game three of the quarter finals with the Erie Otters. 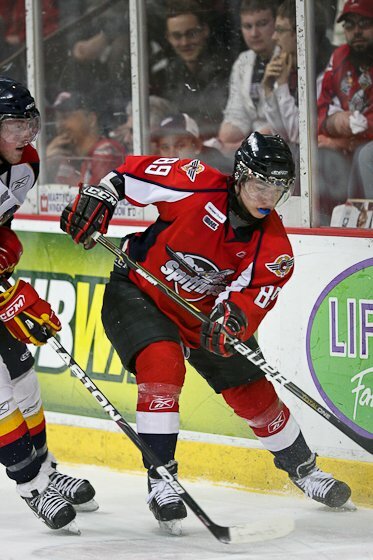 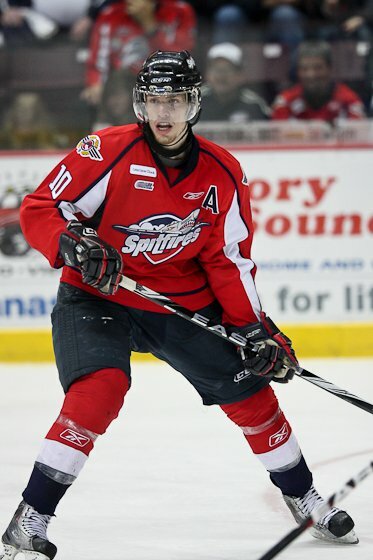 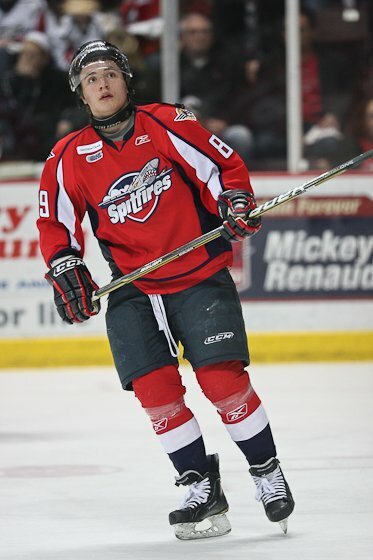 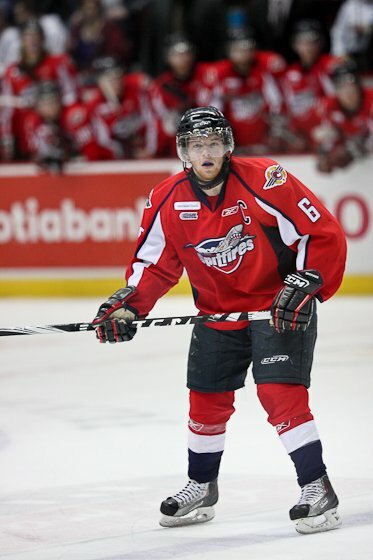 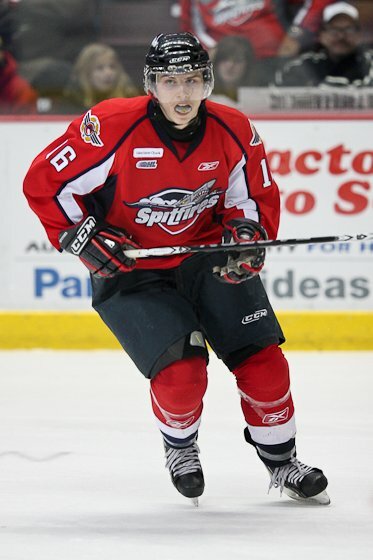 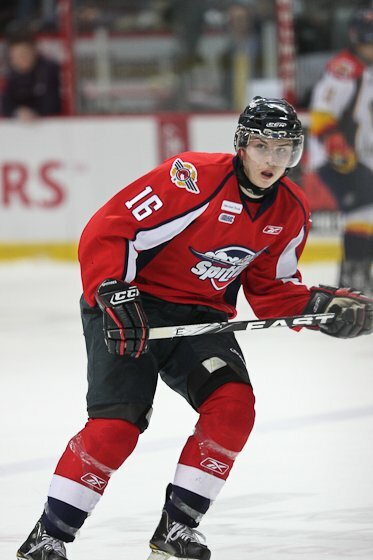 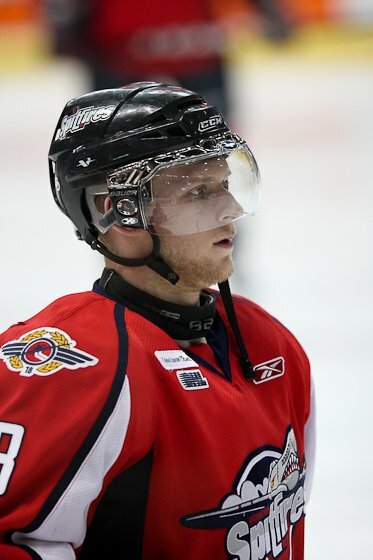 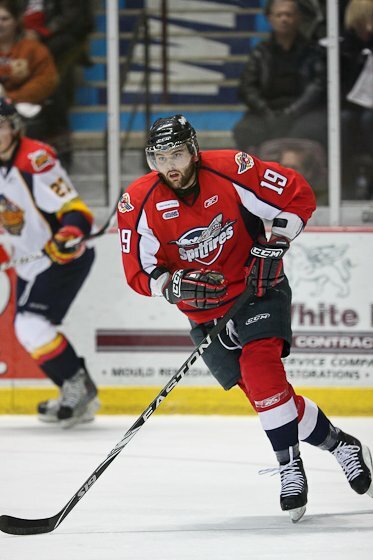 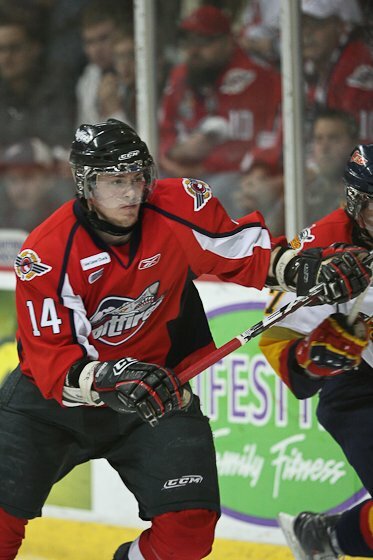 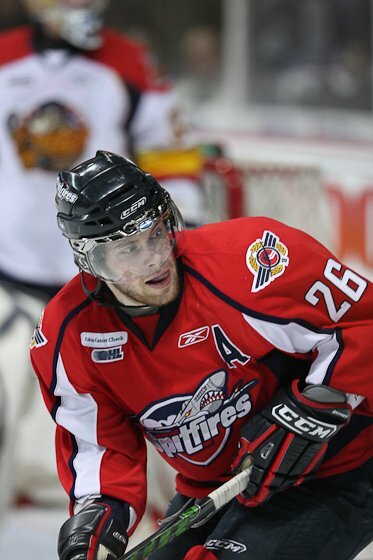 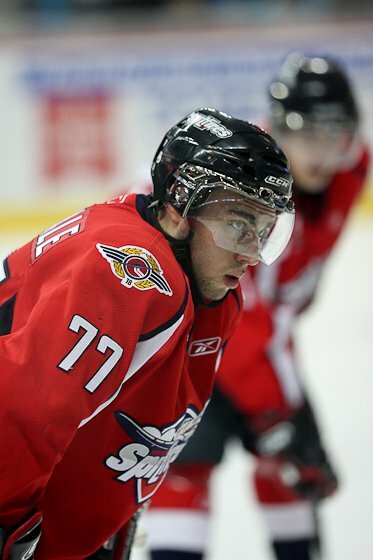 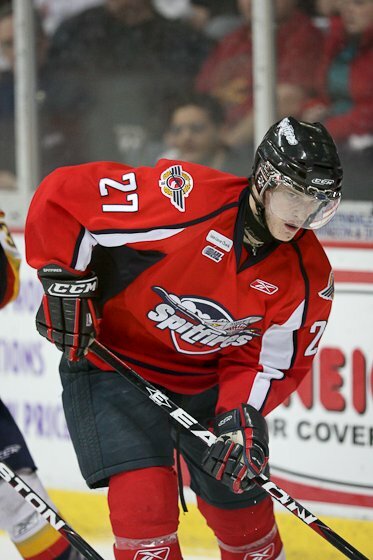 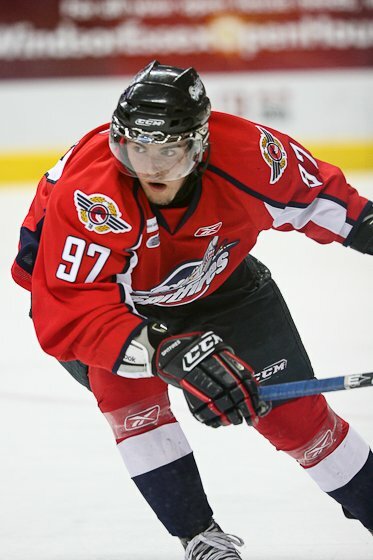 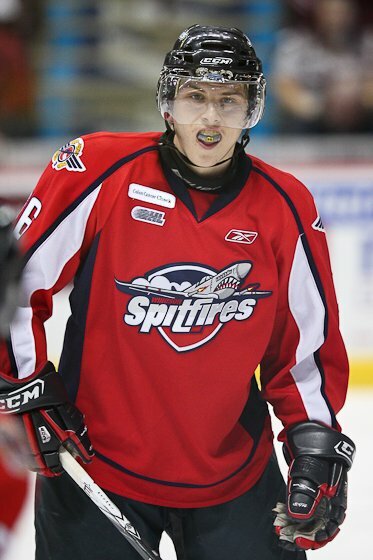 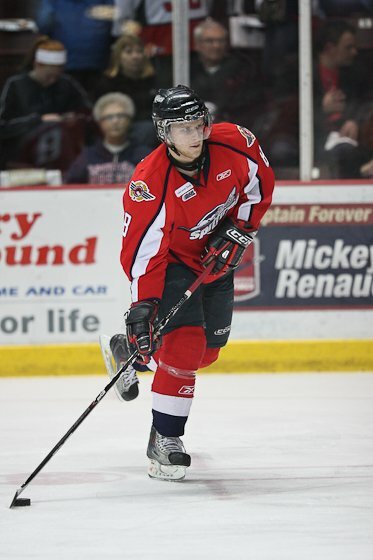 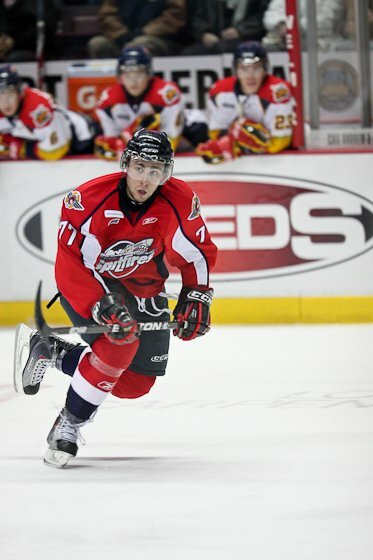 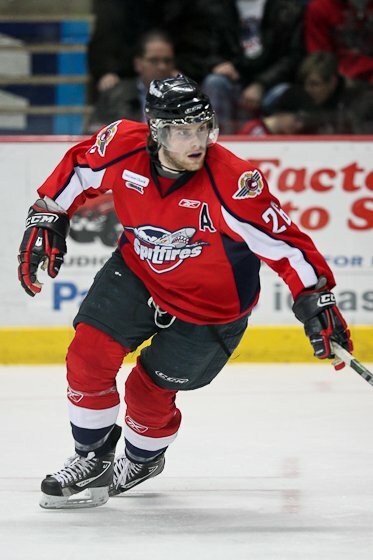 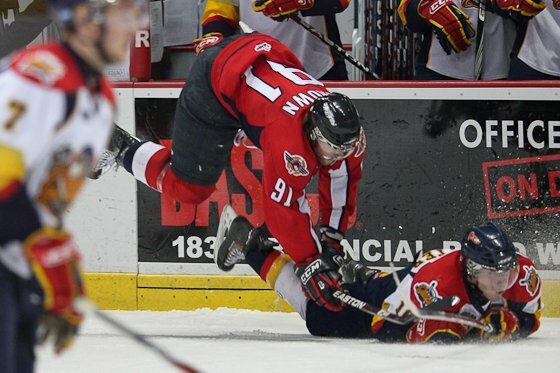 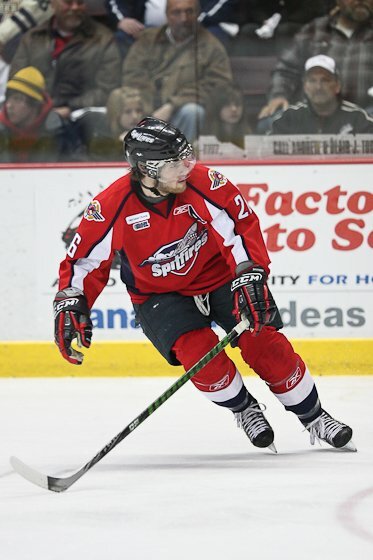 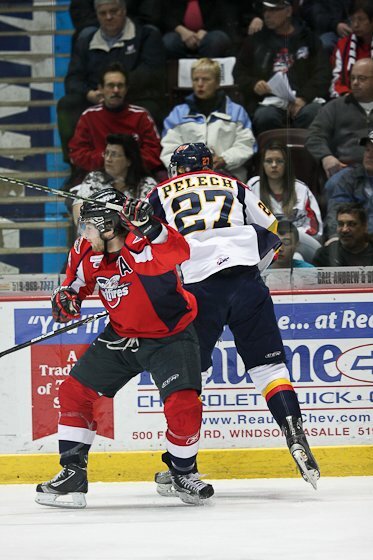 Fresh off a double OT win in Erie Saturday night the Spits were out for another win. 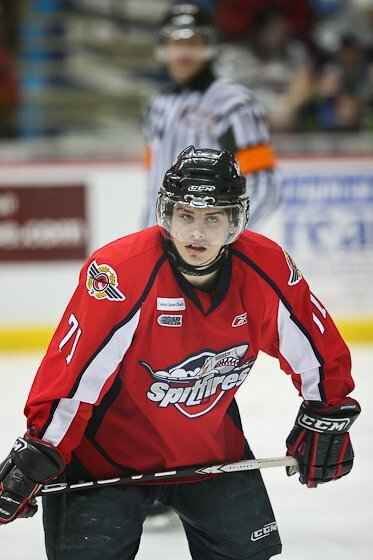 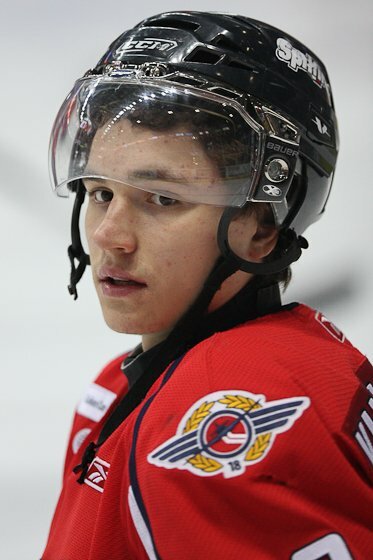 Windsor’s Stephen Johnston was able to slide one past Erie’s netminder Sadikov within 15 minutes of play before Erie was able to tie things up with a goal from Cazzola before Jake Carrick added a goal and gave the Spits a 2-1 lead going into the second period. 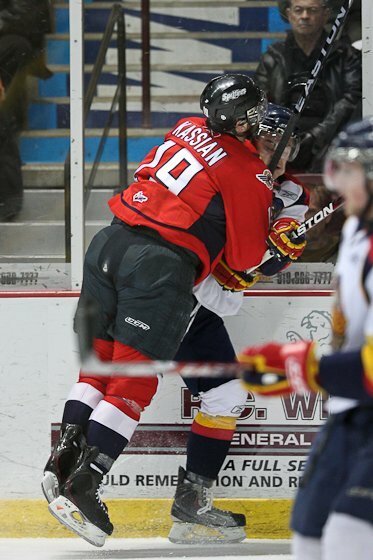 Things were getting very heated between the two teams with some questionable penalty calls but no fights did break out during the game. 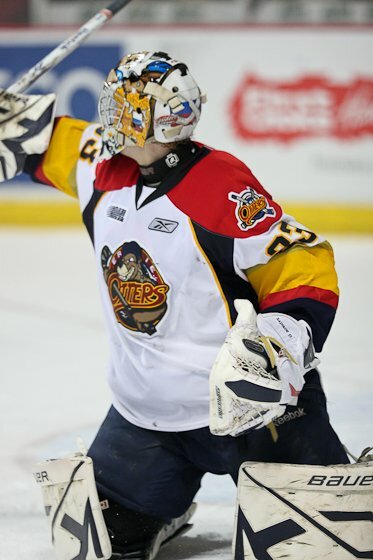 In the second period Erie’s Szydlowski was able to tie the game up before a nonstop rally of Spits goals obliterated the Otters into replacing Sadikov. 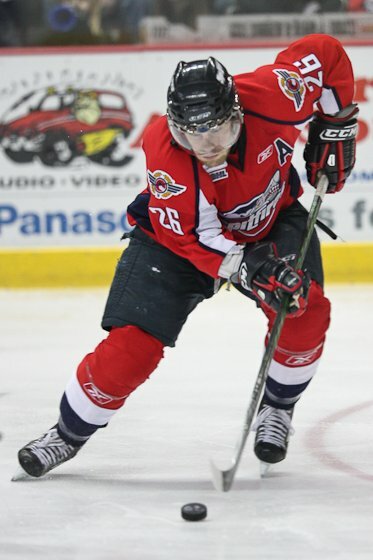 Ellis added the last goal in the second period unassisted before heading into the final period. 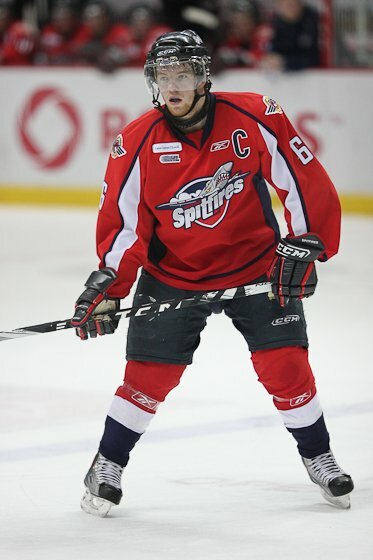 Jeff Brown, Brady Vail and Kenny Ryan all contributed a goal each in the third period putting the Spits up 6-2 and giving them a 2-1 lead in the series before game 4 Wednesday night in Erie. 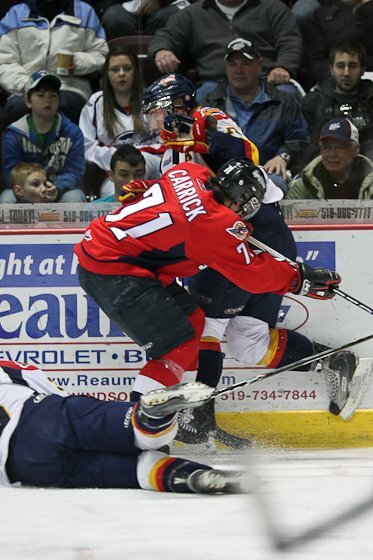 The next home game is at the WFCU Center on Friday night.